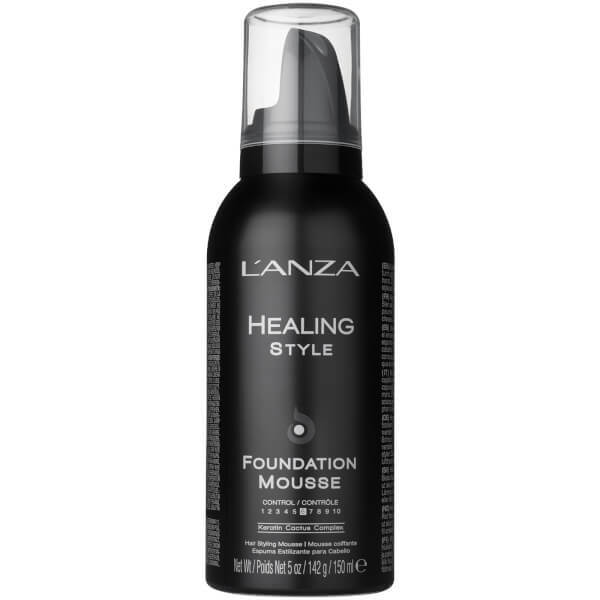 Repair and replenish dull, limp and damaged locks with the L'Anza Healing Style Foundation Mousse. Utilising an advanced Keratin Healing System to provide heat protection up to 260°C while minimising pre-existing damage, the lightweight formula adds instant body, texture and volume. Copaifera Tree Resin supports shape memory for long lasting results, while Panthenol works to boost hair thickness for improved density and movement. Suitable for all hair types, it leaves hair looking fuller and revitalised without flakiness or greasy residue.